I got a new nomination by the lovely Sarah from xliciousgirl please visit her blog she is a lovely girl and her posts are always very interesting and great. I love this nomination because it's fun, it seems like a game between bloggers. 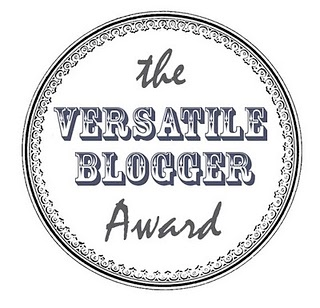 All my nominees are really cutie and lovely bloggers! ヽ(*´∀｀*)ﾉ I invite you to visit her blogs! 1. I prefer cold to heat. I have been in very cold and I love it because I have the wonderful opportunity to use coats and show off and feel comfortable and warm. We also use very warm sweaters and boots and is too great comfort. The heat makes me feel uncomfortable, I live in a tropical country and it's really hot here all my coats remain on the closet most of the year. 2. My love things that are Victorian. Or the style of the Victorian era. I think they have very many details and they are beautiful. 3. My nails grow very fast and are very strong. Even in old posts I have quite long nails. But when I started medical school I had to have short nails, after a while I prefer short nails long nails that I feel more comfortable. 4. Cats are my fascination, honestly I like cats very much. A little more than three years, I had a beautiful Siamese kitten who sadly died. It took a long time to recover from the loss. After two kittens rescued from the street had me for two months until I got a home for each of the kittens. 5. I like to eat healthily, I love green things, plants, all green vegetables I love. I'm loving the salads, I love to eat without too much fat and I do what I do for a regime simply because I like it. 6. When I was in high school was the class nerd girl that everyone hates. Because I always got good grades and higher only liked him 3 people in my class (which today are my best friends) and are boys. 7. One of the things I like is to learn and experience new and different cultures, I love meeting people from different countries with different customs and lifestyles. That's what I love about blogging. Many thanks to all for read this post, and for visit me blog, you´re really special to me! I´m working in new reviews for you! Please Follow me and Bloglovin´and FB I follow you Back! It was great learning more about you! These awards really are fun huh? I feel like it brings bloggers closer together. Congratulations on your award! That's why I started blogging. I love reading about other cultures. Thanks for your visit sweety, have a great week!